Ultra Music Festival is a global brand that hosts 20 premier Electronic Music Events in different locations across the globe. SugarWiFi is the official WiFi partner for Ultra Singapore. Ultra management engaged SugarWiFi to provide wifi for operations, artists and improve festival attendees experience by offsetting the load of thousands of smart devices on the 3g/4g network to SugarWiFi Sweet Spots positioned around Ultra Park Singapore, gaining a comprehensive understanding of attendees through the capture of social profiles. The Ultra Singapore WiFi network consisted of 10 Cisco Meraki Access Points for operations and 3 strategically placed SugarWiFi towers using Cisco Meraki hardware with SugarWiFi analytics software delivering a reliable and robust WiFi experience and seamless Facebook login. Ultra passively grew their customer marketing database through the implementation of SugarWiFi. During the 2 day event in both 2016 and 2017, the venue saw nearly 7,000 WiFi users each year. The WiFi network was branded with the SSID Free WiFi @ Ultra Singapore. 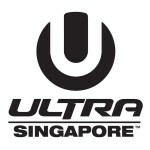 The splash page was branded to include the Ultra Singapore logo. Festival attendees logged in via their Facebook account and were redirected to download the Ultra Mobile App. Management wanted to downloads of their app. This was accomplished through two customer URL redirects. All iPhone users were sent to the appropriate app store, whereas all Android devices were sent to the google play stores. As a result, every customer who logged into the guest wifi was sent to their app store, increasing downloads by thousands of festival attendees. Once a customer opted-in to SugarWiFi, Ultra Singapore leveraged the comprehensive marketing database at the end of each day to notify festival attendees of the Grab@Ultra campaign. Promoting the booking of a Grab Car to gain access to the air-conditioned Grab lounge at Ultra Singapore and transportation to the official Ultra after parties. The campaign had a 31% open rate and 2.7% click-through rate. The majority of the data (43%) was used to upload photos and videos of Ultra Singapore to social channels in the following order. Snapchat (19%), Facebook (15%), and Instagram (9%). SugarWiFi improved the overall festival experience, allowing attendees to stay in contact with friends and upload videos and photos of the event to social channels such as Snapchat, Facebook, and Instagram. As a result, Ultra Singapore increased it’s social reach exponentially. SugarWiFi users sent approximately 13,000 Snapchat videos, 19,000 Facebook posts, and 11,000 Instagram photos. In addition, Ultra Singapore built a detailed marketing database (name, age, gender, and email) of thousands of people in less than 48 hours. Hey Buddy!, I found this information for you: "Ultra Music Festival Singapore WiFi Case Study". Here is the website link: https://sugarwifi.com/ultra-music-festival-singapore-wifi-case-study/. Thank you.